Tina Hovsepian – Inventor of Cardborigami: A Unique Solution to Ending Homelessness. 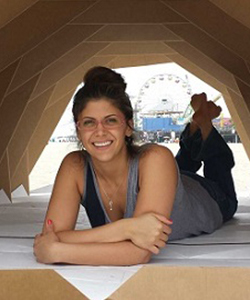 Be sure to tune in to Stacey’s BRAND NEW interview for The Women’s Eye Radio with Tina Hovsepian (@TinaHovsepian), the inventor of Cardborigami, origami-inspired homeless shelters! Seeing a need to combat the ever-present homeless problem in Los Angeles, this full-time architect created a solution: a collapsible, transportable cardboard shelter. In just seven years, it’s the invention that keeps on giving. In addition to helping people get off the streets and back on their feet, Cardboragami shelters are now being used to help those impacted by natural disasters, most recently in Mexico following the devastating earthquake. 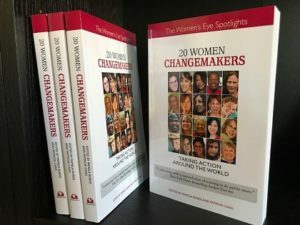 We first profiled Tina and Cardborigami for The Women’s Eye in 2015; now she is one of several women who are featured in the recently released 20 WOMEN CHANGEMAKERS as a proponent for change who is taking action around the world. Keep an eye on her because this young innovator is just getting started! 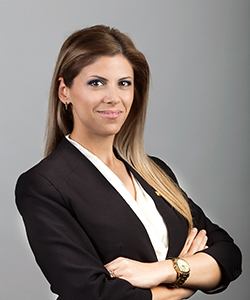 Listen to Tina Hovsepian’s Interview and more TWE Interviews from The Women’s Eye Radio Show on iTunes. Sukey Forbes – Author of The Angel in My Pocket: A Story of Love, Loss, and Life After Death. 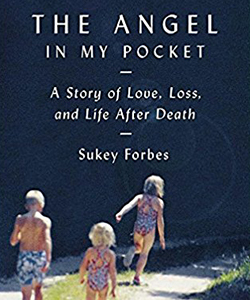 A BRAND NEW interview with Sukey Forbes, author of “The Angel in My Pocket: A Story of Love, Loss and Life After Death,” on The Women’s Eye Radio with host Stacey Gualandi. 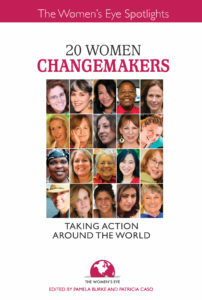 Sukey advocates for her special cause of helping people deal with the process of grief, and is among a group of women featured in the newly released “20 Women Changemakers: Taking Action Around the World” who are making a difference across the globe. We first profiled Sukey here in 2014 following the release of her memoir, a candid and emotional journey of a mother’s grief following the sudden death of her 6-year-old daughter Charlotte. You’ll be surprised to hear what Sukey is doing now for her second act. 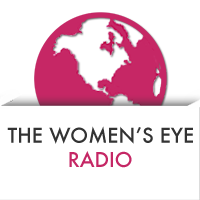 Listen to Sukey Forbes’ Interview and more TWE Interviews from The Women’s Eye Radio Show on iTunes. In the market for some J.A. 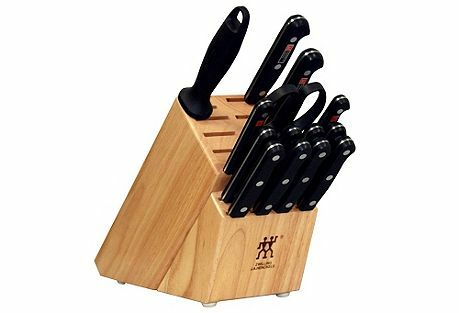 Henckels knives? No problem. What about an Oyuna throw? You’re in luck! 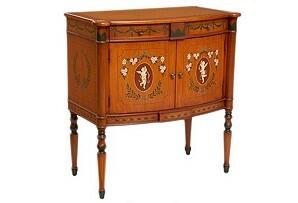 Or looking to add to your Julia Gray fine furniture collection? 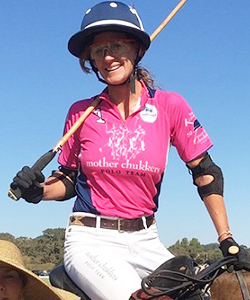 Susan Feldman and Alison Pincus have got just the website for you. These friends and business partners started One Kings Lane, the “home” for top brands and designer home furnishings online. 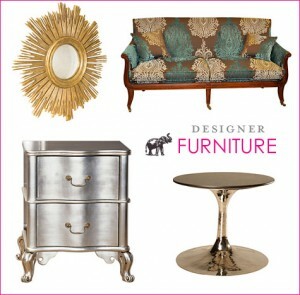 In just over two short years, they have transformed their premier décor destination into a social shopping sensation. They work with top designers to give their members access to “flash sales” every day for 72 hours like the ones above. Their members can get designer goods, entertaining and travel needs, food and wine through tag sales and discounts at up to 70% off retail. Even Gwyneth Paltrow had their design help for her recent cookbook release dinner party. The technology brings everyone together online and has made this dynamic design duo tops in e-commerce. But if you’re looking to find their San Francisco-based office at “One Kings Lane”, stop looking. Their address is from their imagination. I heard Susan and Alison at a special appearance at the recent More Reinvention Convention in Los Angeles. Onekingslane.com is a “second act” for both of these working wives and mothers. Susan has three children; Alison had twins just under a year ago. It was fascinating to hear how these home design enthusiasts started new careers while raising their families, and how you can never have too many cashmere throws!! EYE: OneKingsLane.com is described as a “flash site”. 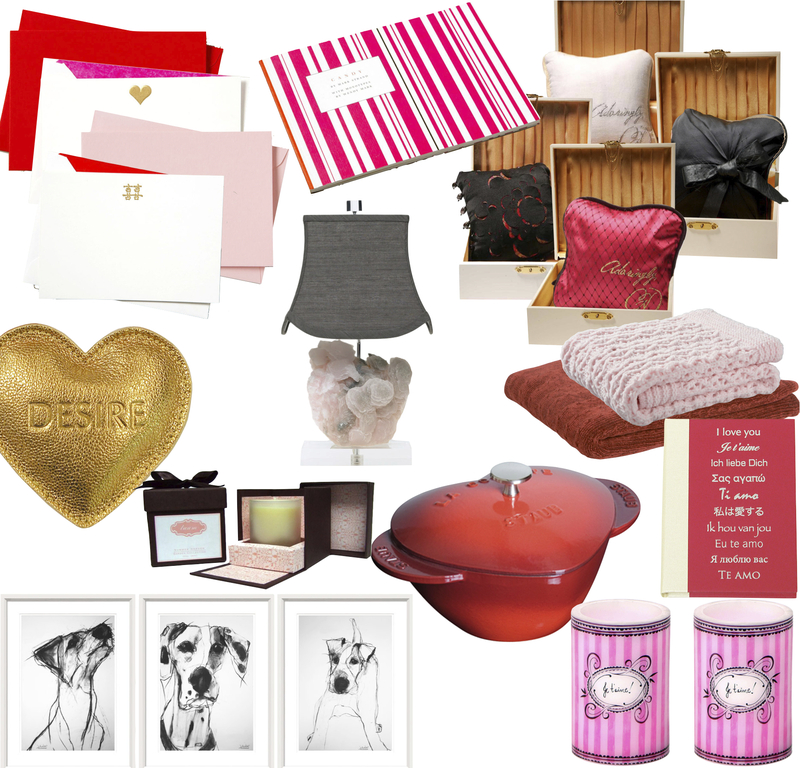 We’re showing some of the items you’ve featured on your online store. How does your site work? SUSAN FELDMAN (Chief Merchandising Officer): One Kings Lane is an online destination for everything you need for your home at great savings. Every day, we have new sales that last for a limited amount of time with a limited amount of product, a.k.a. “flash sales”. The sales begin at 8 am PST so I tell everyone to get there early because it’s first-come, first-served!! EYE: Did your previous careers prepare you for this type of business? ALISON (Chief Strategy Officer): When I first started the business with Susie, I was recently married, and had just moved to Los Angeles. I had been working in corporate America since 1996 in the web arena. Fortunately I was always really focused and because I was so focused I was able to leverage that experience to be an entrepreneur. That was a dream that I always had but I didn’t have the security to go off and do it. I also thought you need a really good idea. I think execution really helps with starting a business. SUSAN: I spent the majority of my career in the apparel business as a sales executive in New York City. About six years ago, I moved to Los Angeles with my husband who had a job opportunity. I became obsessed with my new home. It was the first time since I left for college that I lived in a house. I’ve basically lived in an apartment my entire adult life. I always loved home products but became very obsessed finding items for my home, so I spent a lot of my free time wandering around LA looking for unique and interesting products. So a little over two years ago, Alison and I started One Kings Lane. I think we hit a sweet spot. I think there are a lot of people looking for the same things we were looking for. Today, a little over two years later, we have nearly two million users. We had a 500 % increase in our revenues for 2010. We’re trending to have a 300% increase for 2011. I’ve never worked this hard, but I’m having the best time ever. EYE: What kind of reaction did you get when you told people you wanted to start your own business? Early on I asked a girlfriend to check out our site. It’s a private site and you have to be invited or referred to join. She said she really had to meet with me first and make sure its ok because she didn’t want to bombard her friends with spam!!! Those were just a couple of the pessimistic challenges we faced. We started our business during the worst time, but it was also one of the most helpful times. EYE: How important are mentors in the process of becoming an entrepreneur? SUSAN: I think you should find someone who inspires you, or who you can look to as a mentor. My dad reinvented himself three times. He was a retailer until he was 65; then he became a successful commercial real estate broker; then at 78 he got his masters in fine art; and then painted, had art shows and a website until he was 88. I think having someone who can set an example for you that you CAN do anything and that there’s no point in your life that you can’t go out and reinvent yourself I think can be helpful and inspiring as well. EYE: It has to be pretty scary to start a business. What were the financial challenges you faced? ALISON: We started in the fall of 2008 and getting a bank loan was not possible; getting a credit card was difficult. I was late paying bills after I got married which impacted my credit score. So it was a very scary time for me. We negotiated really hard with an outside vendor, and we were able to secure a deal for ourselves that required us to put some money down upfront and have the balance paid on the backend once the business was launched. We think it’s helpful to share the creative negotiations and being resourceful and realizing there are alternatives. Friends liked our idea and we said “thank you very much,” but we didn’t feel comfortable because we wanted to get our business launched and see what would happen. It was actually 4-6 months later we took our first round of venture capital and that was only because of our proven success. We were too nervous to take any money from friends. EYE: OK, you know I’m going to ask you both the “B” word. I see where you travel the world looking for items. That must be time-consuming. How do you balance family with career? SUSAN: My family realized what was going to be involved, especially because I was working out of my home for the first year and would be up at 4:30 am and wouldn’t leave my office until 10 pm at night. I think everyone made a commitment in our house that they would support what I was doing. They could see it was going to be successful and were all pretty excited about it. I’m reminded all the time by everyone in my house that when I am there and with them, I need to be present. So the time that I am with my family – which is probably not as much as I like it to be – I have to constantly remind myself to leave my iphone in my bag, etc. and be present. If I’m not, I get reprimanded in a big way by everyone. Ha! I am married to my business as well, but it takes a lot out of you. My advice is just be present. EYE: How important is it to have a partnership? Do you both recommend going into business with a partner? SUSAN: In my career I always felt like I had a partner. Whatever I did, if I was on the sales side, I always had someone with me on the merchandising side with whom I was partners. I think its hard to do everything well, and I think when you’re starting a business its great to hold hands with somebody and brainstorm. Two heads are always better than one, and it takes an enormous amount of time and resources to get a business started so I think having a partner was amazing. I’m not sure that I could have done this on my own without Ali. We’ve worked really hard and we have a great relationship and friendship and working partnership also. It’s made a difference because we’ve been able to divide and conquer but also work very closely together to make our business happen. ALISON: Yes I agree 100%. A couple of people have come to me recently and have said I’m leaving a job and want to get back into the work force. I say I think its an amazing idea, and I think you should really think about finding a great partner because a good partner can really help you especially if speed matters. We started our business on the internet, and speed is everything. Having a great idea and really executing that idea is of course very important but speed is the first core principle. And also it’s so much fun to have a partner! EYE: As you continue to grow, how do you work with other each other, especially if you ever disagree? SUSAN: As partners we collaborate on every single decision. Sometimes it might get tense because sometimes you have that “creative tension”, but I think we’ve really found a rhythm. We brainstorm, maybe some tensions surface, then we can walk away from it and resume the conversation the next day. And more times than not, we came to a better place as far as the decision we were making. We may have had different points of view but yet together, we’ve come up with a better decision or solution. EYE: What are your dreams for One Kings Lane in the future? ALISON: I think my professional dream for One Kings Lane is to keep helping and treating and delighting our shoppers every single day and for us to keep delighting our brands and designers that we work with. SUSAN: My dream is for it to continue to grow to become a great lifestyle destination on the web. I’m excited now that I’ve done this, and I guess in the spirit of my father, I can always begin to figure out what to do even in my next act. To get there is just to continue to learn and to be open to lots of new things. 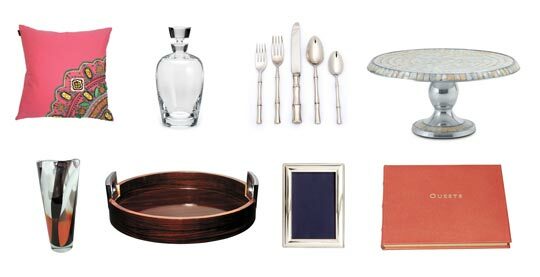 EYE: Speaking now from experience, what is the “holy grail” of household items that everyone should have? 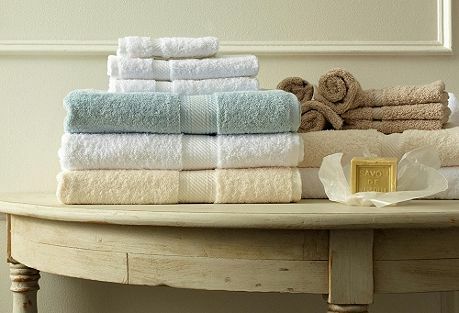 SUSAN: I think every home should have a cashmere throw. If someone were to buy just one I think a beautiful neutral color is best so it can be used in many rooms in the home. 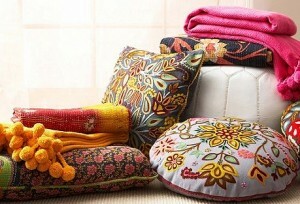 However, I don’t think a home can have too many throws. 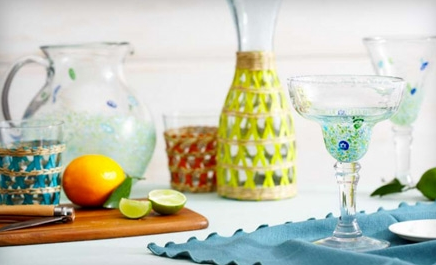 Not only are they great decorative items but they are functional as well. EYE: I’m on it!! See you at the next flash sale!!! Thanks so much to you both.